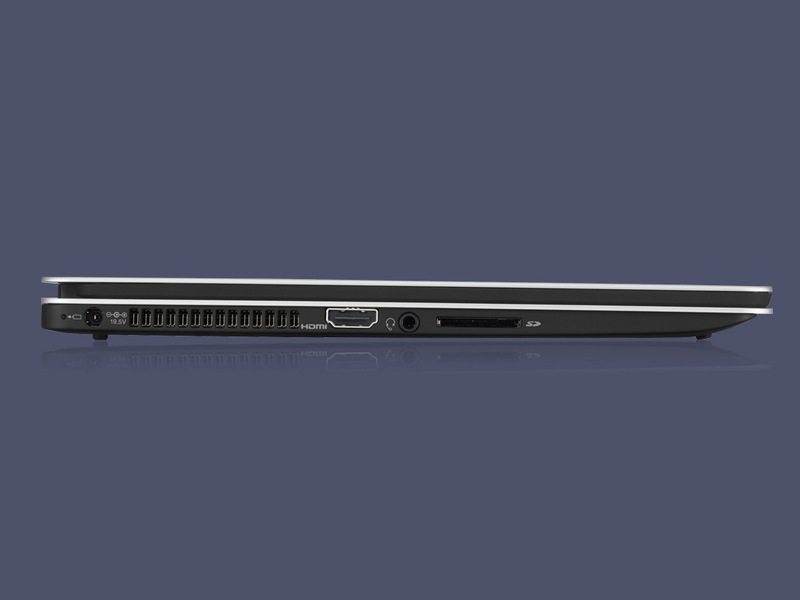 Two 13.3-inch SKUs are available starting from $1500 USD and come equipped with ULV Skylake processors and integrated Iris graphics. 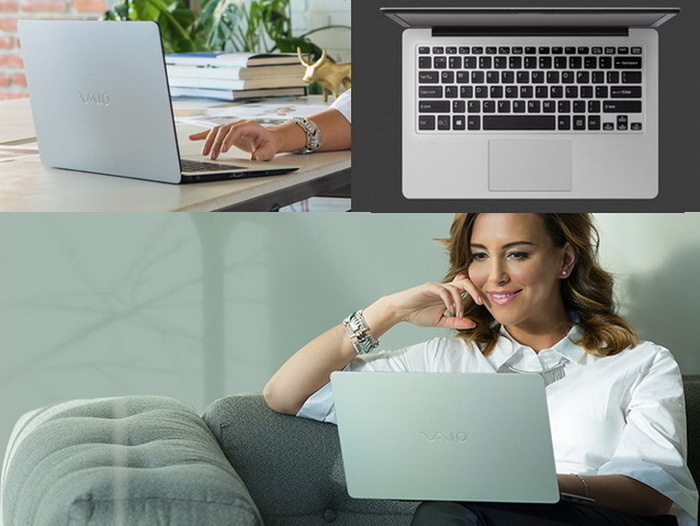 It was well reported that the Vaio Corporation would formally re-enter the notebook market after more than two years of being outside of Sony's hands. 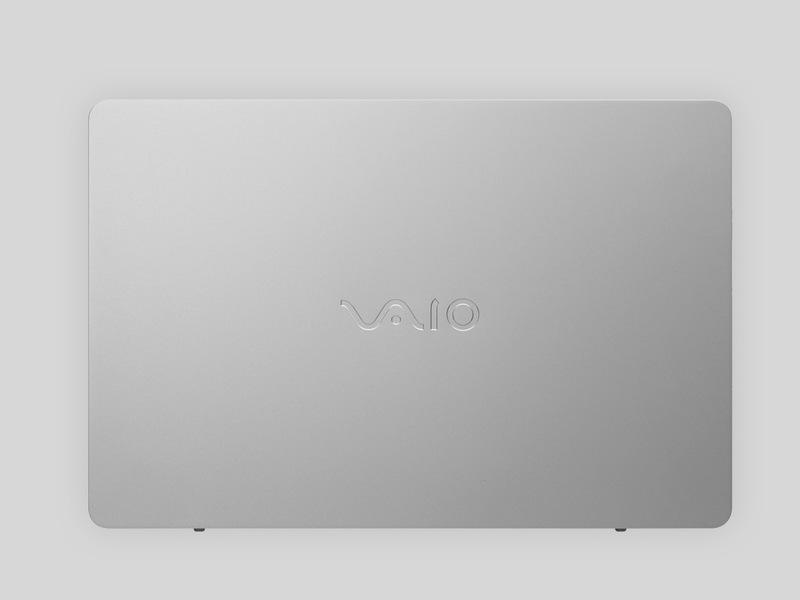 After the release of the Canvas Z convertible late last year, we can now look forward to the Vaio Z series of classic notebooks. 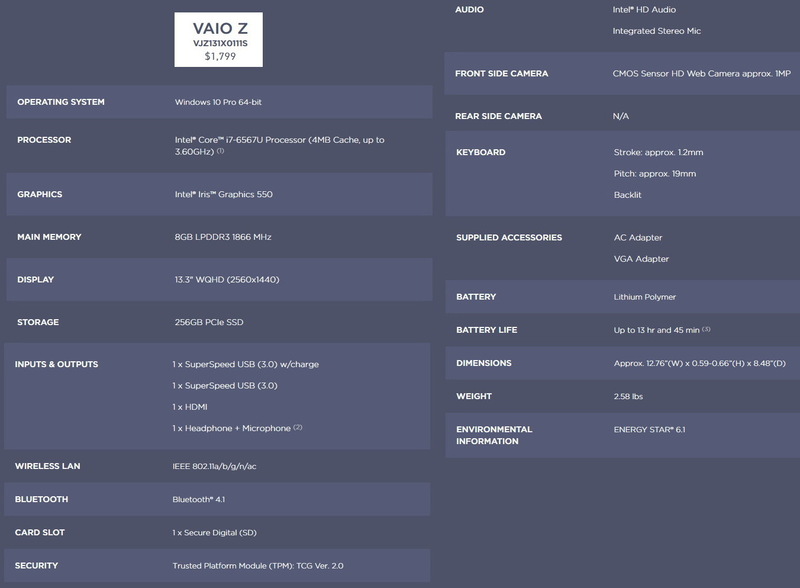 The Vaio Z series is starting out with two 13.3-inch SKUs: The VJZ131X0211S and the VJZ131X0111S. 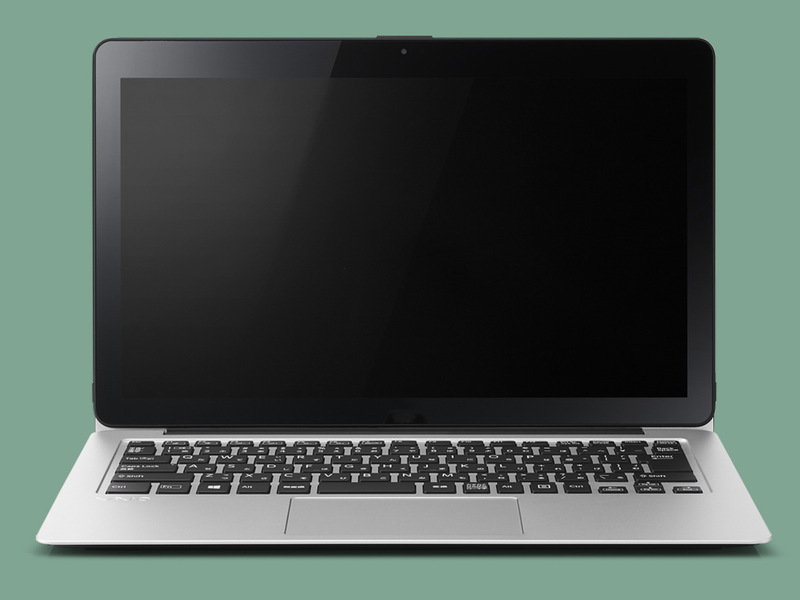 The 211S is the lower-end model for $1500 USD and includes a dual-core Core i5-6267U with Iris Graphics 550 (GT3e), 8 GB RAM, 256 GB SSD, and a 1080p display. 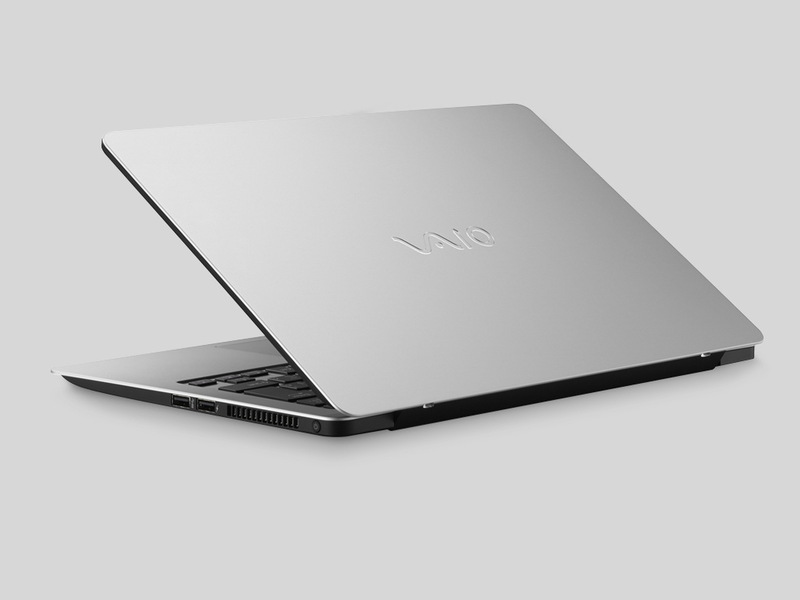 Meanwhile, the pricier 111S starts at $1800 USD and includes a faster Core i7-6567U CPU with a denser WQHD (2560 x 1440) resolution display instead. 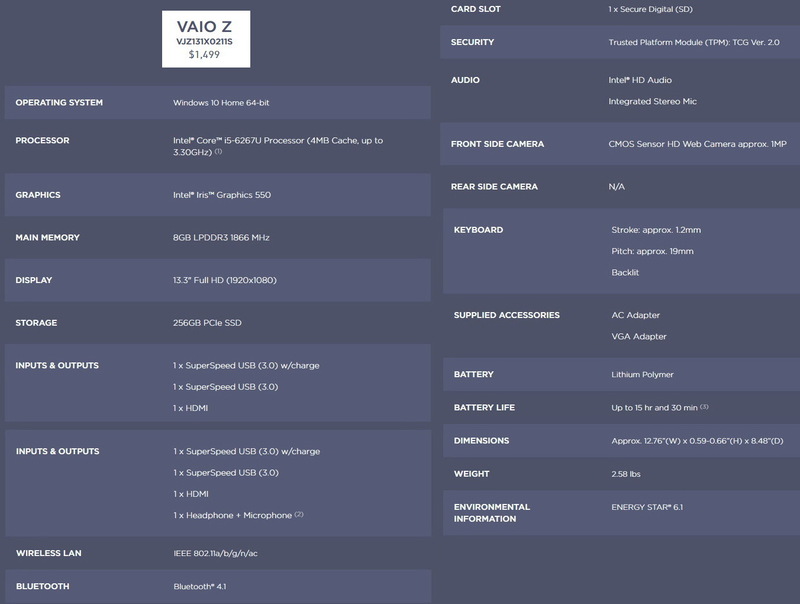 It will also come pre-installed with Windows 10 Pro whereas the 211S configuration will ship with Windows 10 Home. 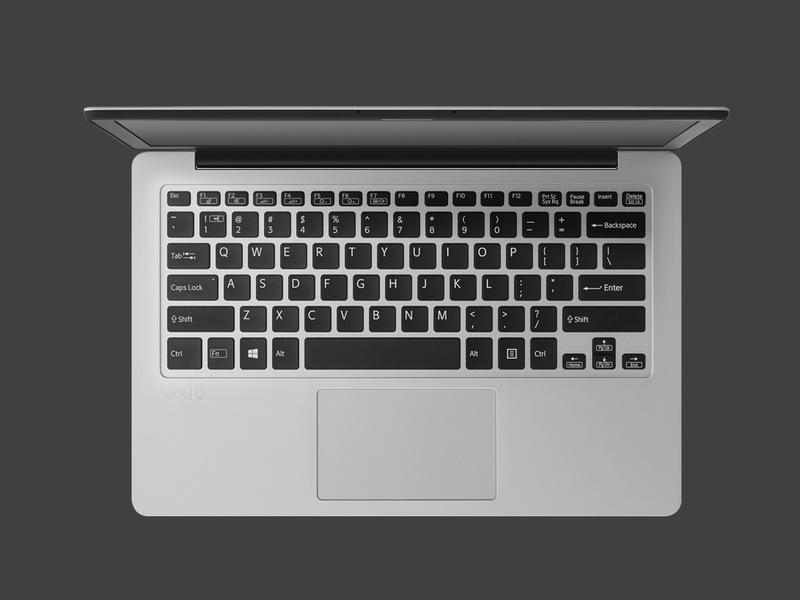 Beyond the aforementioned differences, however, the two SKUs share identical interfaces such as the 2x USB 3.0 ports, HDMI-out, SD reader, 3.5 mm audio jack, 802.11ac WiFi, Bluetooth 4.1, and TPM TCG Ver. 2. While the manufacturer is not providing the exact capacity of the non-removable battery, its technical specifications list states that it should last for up to 15.5 hours depending on the model.